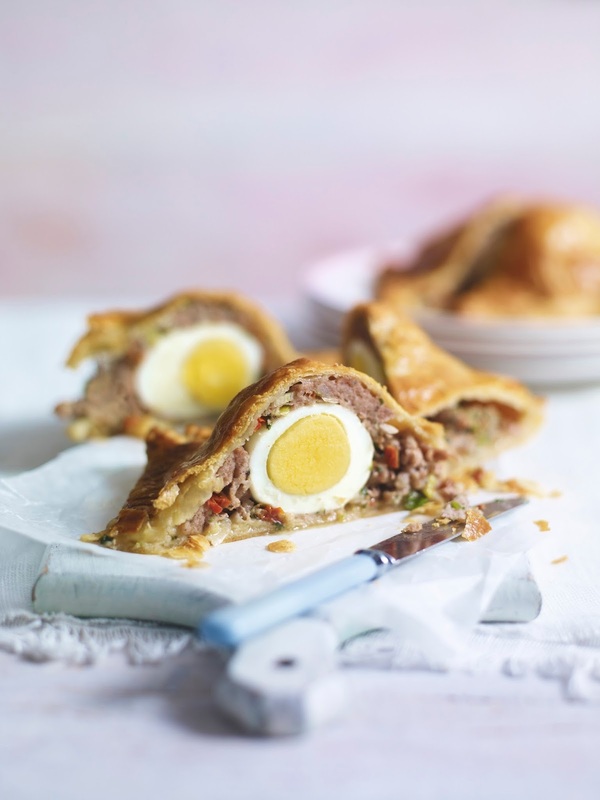 Fancy trying out this scotch egg pie? What a fun and creative idea!? Hens lay eggs of different shapes and sizes. That’s why boxes of essential Waitrose 9 Free Range Eggs are packed by total weight not by size, so every egg, big or small, has a place. Preheat the oven to 200ºC, gas mark 6. 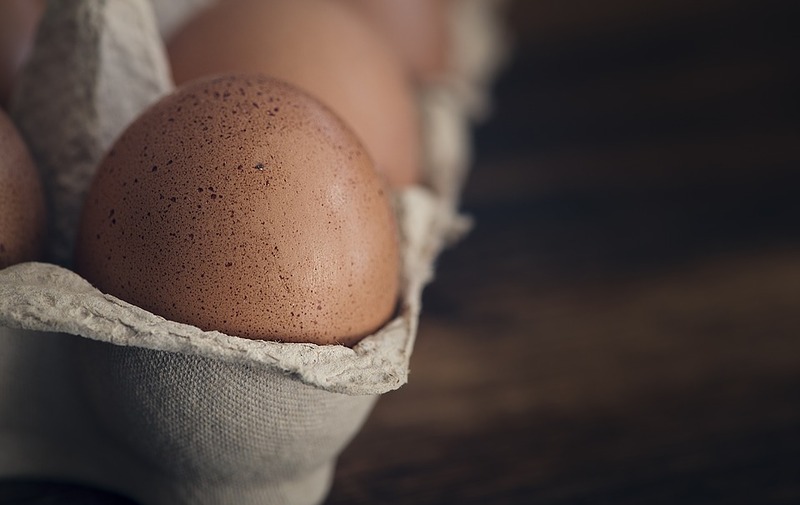 Cook 6 of the eggs in a pan of boiling water for 6–8 minutes, depending on the size of the egg. Cool and shell. Meanwhile, mix together the sausagemeat, sundried tomatoes, salad onions, Parmigiano Reggiano and parsley until well blended. Open out one sheet of the pastry and place on a baking sheet. Spread with Dijon mustard then smooth a third of the sausage mixture over the pastry, leaving a 1cm border around the edges. Place the peeled eggs, evenly spaced, on the sausagemeat then cover with the remaining mixture to enclose them. Roll out the second sheet of pastry on a floured surface to make it a little larger. Beat the remaining egg and brush along the borders of the pastry, then lay the second sheet of pastry over the filling. Use a fork to press the borders together firmly to seal into a neat rectangular pie, trimming the edges if necessary. Brush the pie with beaten egg and bake for 40 minutes until golden and cooked through. Leave to cool for a few minutes before slicing. If you have time, chill the pie for up to several hours before baking. What do you think of this Scotch Egg Pie? "Strawberries, Banana And Peanut Butter Milkshake.."
"Fun Morning In Hyde Park.."